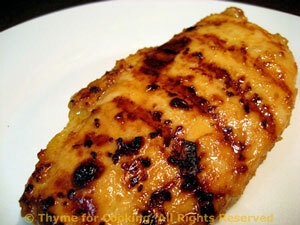 Grilled Teriyaki Chicken, from Thyme for Cooking's Weekly Menu Planner. Summer dinner with an Asian twist. 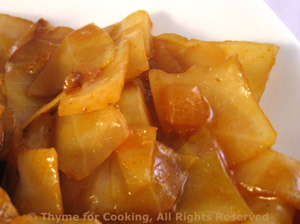 Use either Teriyaki sauce, marinade or basting sauce. One more, quick way to use up a bit of cabbage. 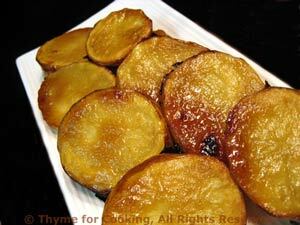 The slightly sweet-sour flavor make this an excellent side dish for hearty meats. Add cabbage and sauté 5 - 8 minutes, until cabbage start to wilt. Add vinegar and sugar, and stir well. Cover, reduce heat and let cook for 5 minutes. Serve.